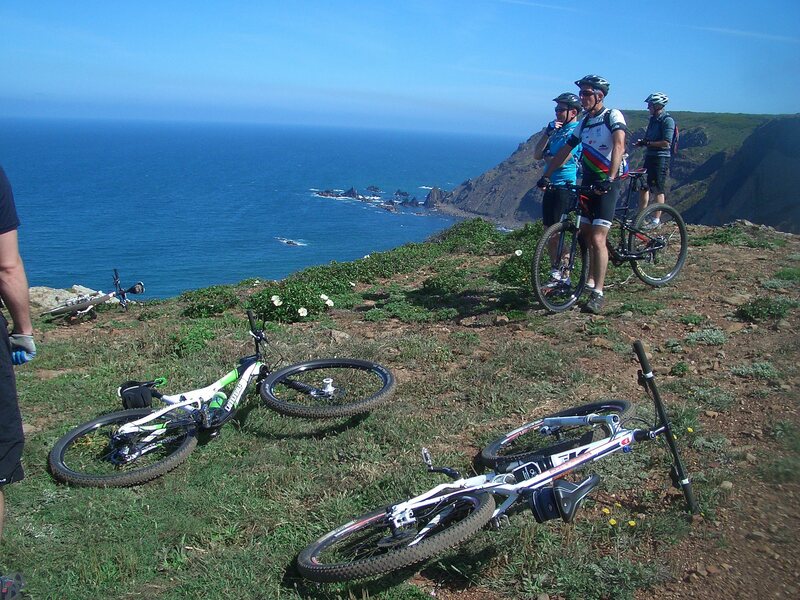 Use the form below to contact tour Rota Vicentina MTB Tour 14th to 17th November 2019 directly. 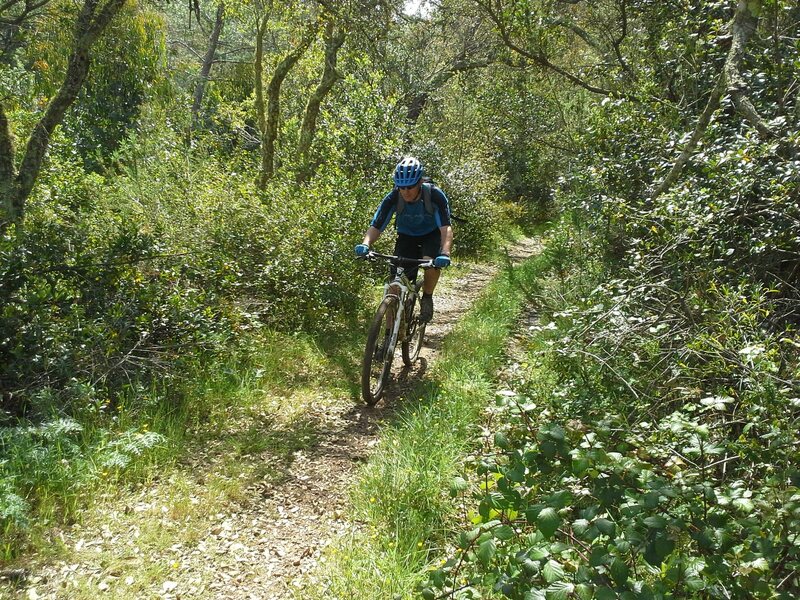 Dipping in and out of the Vicentina Natural Park on a mountain bike is an excellent way to get to know this authentic and rural South Western corner of Portugal. 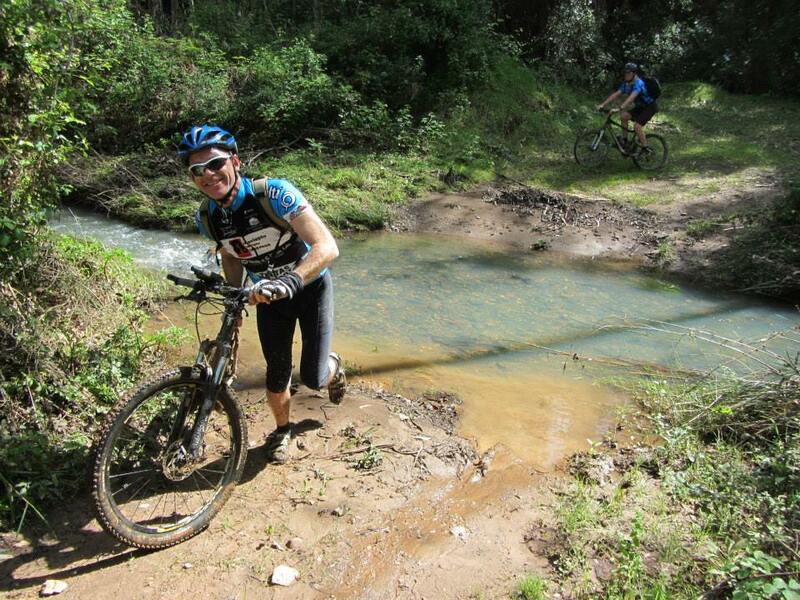 Our weekend cross-country MTB tour is a guided adventure, packed full of contrasting scenery, mixed terrain and challenging daily profiles. 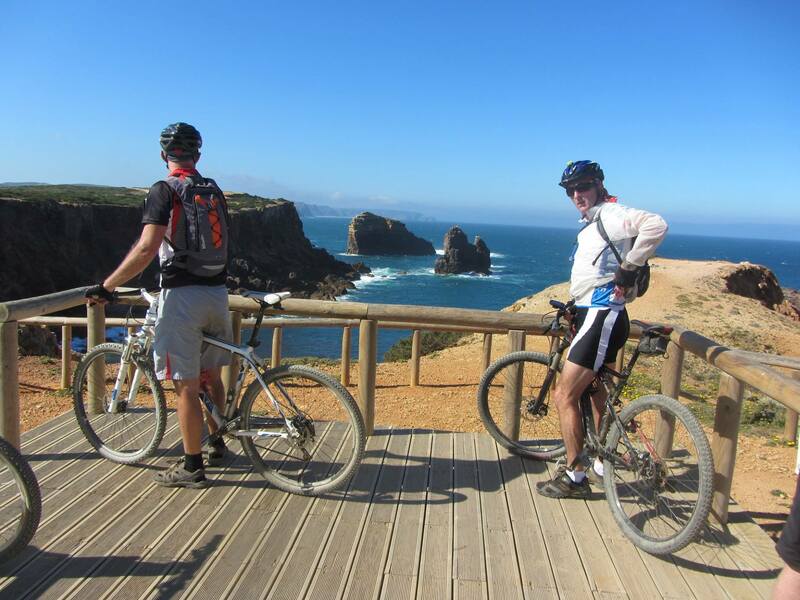 We mostly follow the established Rota Vicentina’s Historical trail, which consists of 230km of tracks and is classified as a long distance route, Grand Randonnee (GR11, or E9). This spectacular trail leads us across farms, through forests, over hills, across rivers, along clifftops and via sandy paths to perfect beaches. Staying in the most authentic and rural towns and villages in the region, it’s hard to believe we can cover so much ground in just four days! This annual event is becoming ever more popular with Mountain Bikers looking for a new challenge, so make sure you book early as we expect places to fill fast. 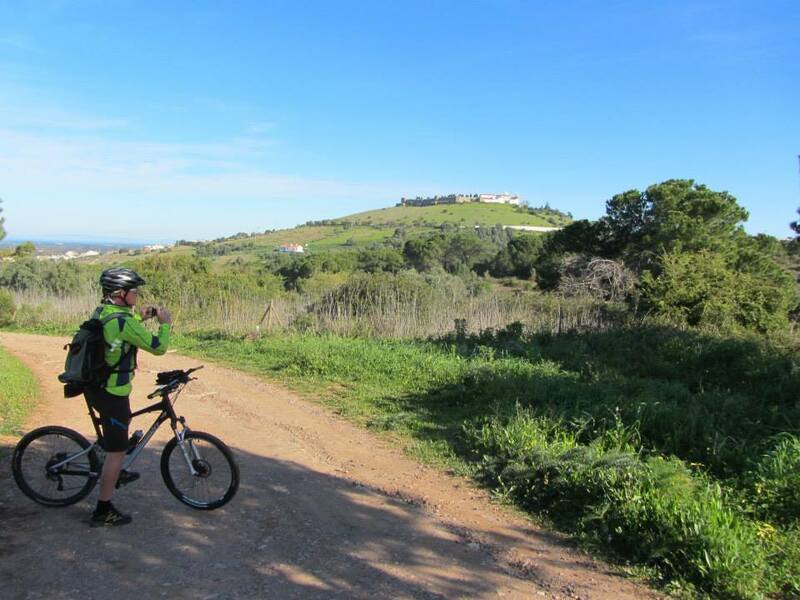 After our journey from central Algarve to the Alentejo province we set out from the route’s starting point in Santiago de Cacém. 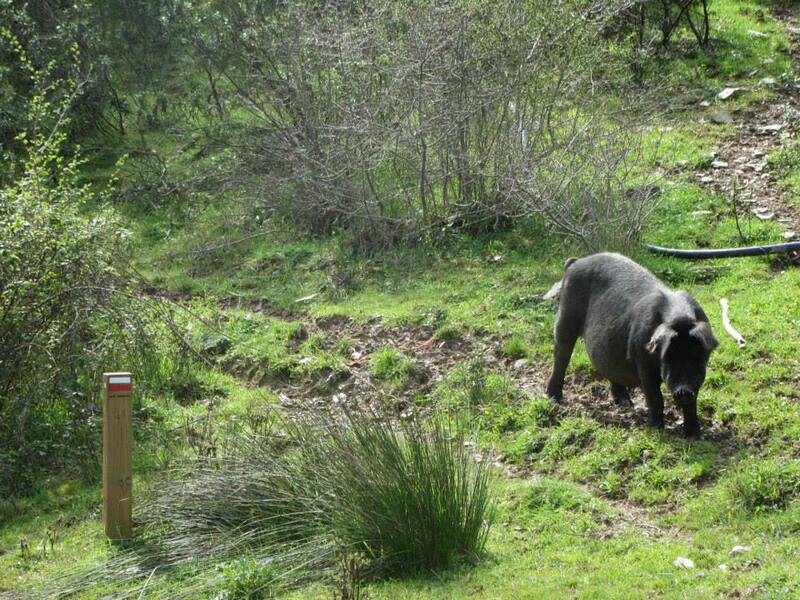 The trail leads through forests of cork oak and undulating countryside, where local breeds of Black Pig can sometimes be encountered on the tracks. An interesting mosaic of bio diversity follows, featuring olive groves, orchards, small ponds and streams. 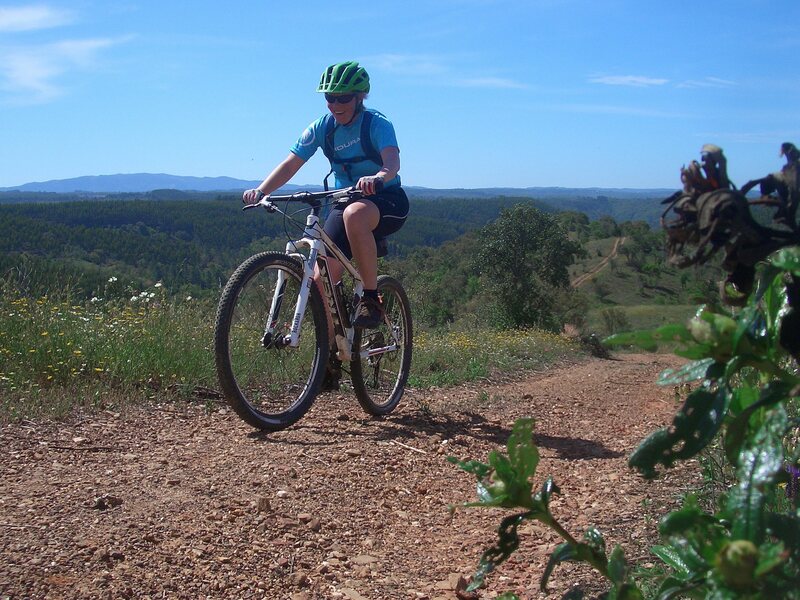 After passing through low density farm land and the traditional Alentejo town of Cercal, the terrain becomes more mountainous with beautiful rocky outcrops. São Luis appears at the bottom of a wonderful decent to close the first day of riding. 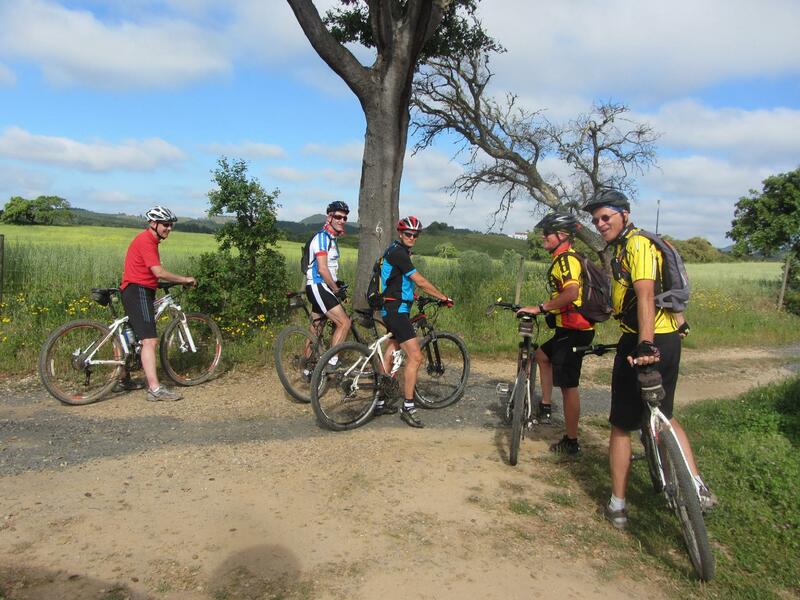 After the overnight stay in São Luis another day of riding in the wonderful Alentejo is ahead. A scenic route through peaceful valleys leads into Odemira, another quaint town with plenty of cafés for a first coffee break. Along the river Mira the route passes through pleasantly rolling countryside on the way to São Teotónio, where cafés for lunch can be found in the main square. Continuing south from São Teotónio you will reach a significant landmark in your journey, the border between the Alentejo and the Algarve. This is marked by the quaint hillside town of Odeceixe, where also the Fisherman’s trail is met at one of 7 elected Portugal’s most wonderful beaches. 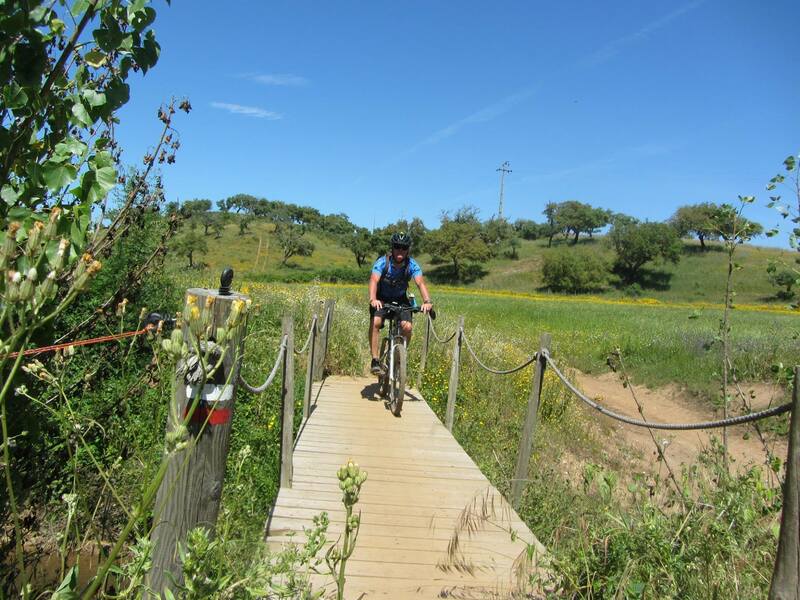 After a welcome rest with the friendliest of hostesses, Dª Celeste, a sharp climb out of Odeceixe is followed by completely flat paths alongside the irrigation channels on the way to Aljezur, (where the castle above the old town is well worth a visit). 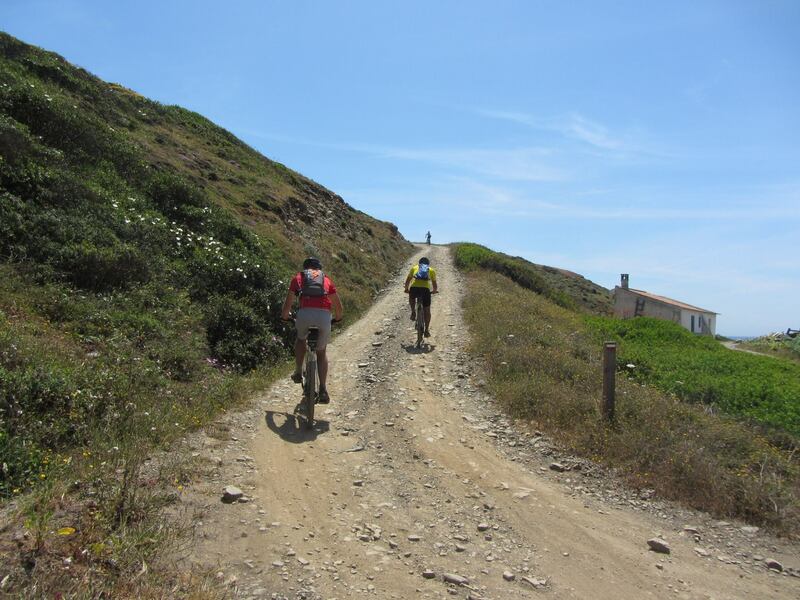 The trail becomes more undulating as it reaches the coast, south of Aljezur, before heading inland, via Bordeira, to Carrapateira. Carrapateira is a village of fisherman and farmers alike. It lives and breathes authenticity and reveals the contrasts of this region. 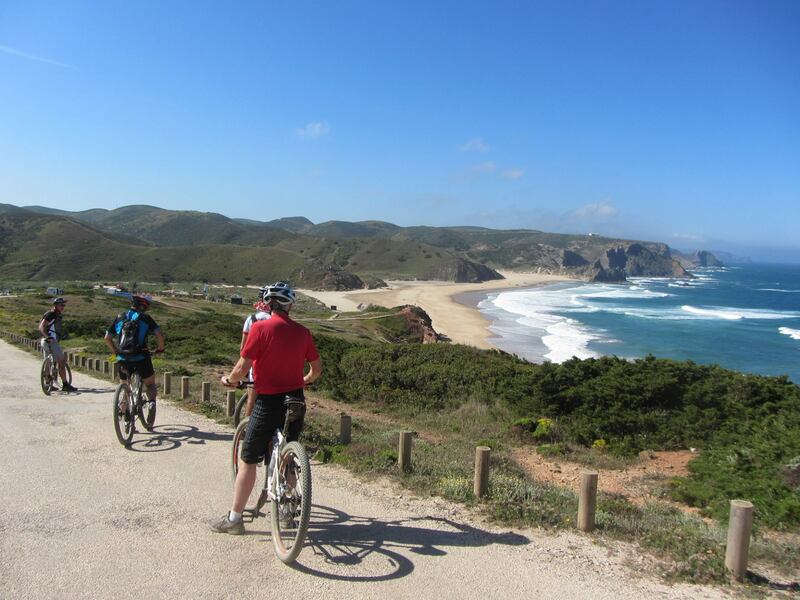 Before setting out on the final stage to Cabo de São Vicente we suggest a tour along the Fisherman’s trail of the wonderful Pontal de Carrapateira, a loop of c.10 kms that hugs the Atlantic coast, a place of great natural beauty. Back at Carrapateira a short sharp climb out of the village leading along the ridge top offers more spectacular views of the coastline before leading down to the river valley where a pleasant track leads along to the restored old village of Pedralva, a wortwhile refreshment stop along the way. 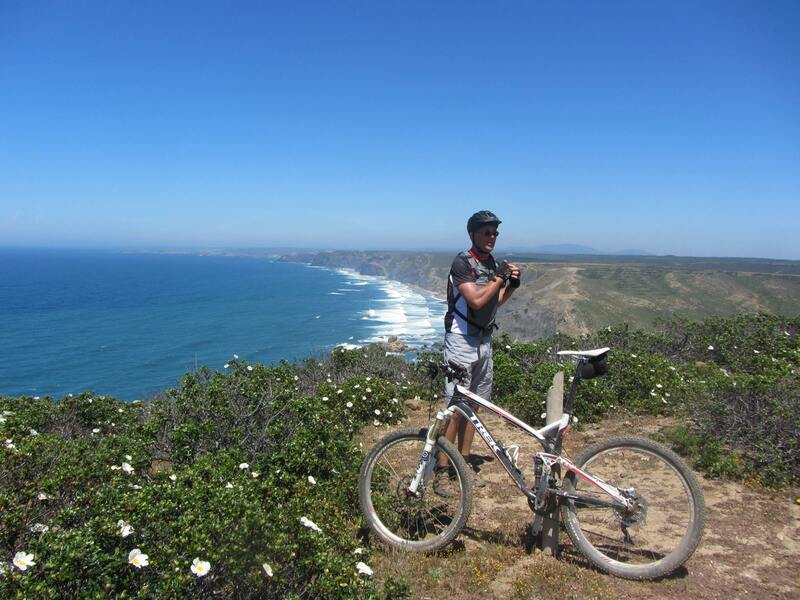 Some undulating sandy trails amongst pine trees follows, as you head towards Vila do Bispo and, finally, the trail takes you down to the coast and the end of the route at Cabo de S. Vicente. From here we will transfer you to the Central Algarve. Single room accommodation subject to availability, please specify if preferred . 3 nights b&b stay in comfortable guesthouse or hotel based on 2 persons sharing a twin room. Personal accident insurance, which we strongly recommend you take out.